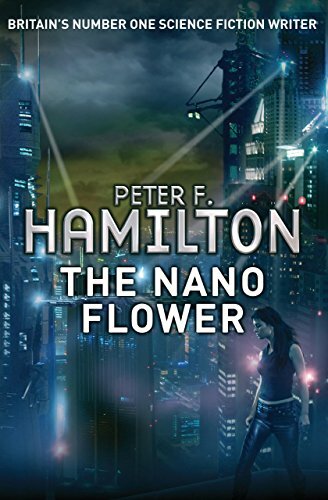 Following Mindstar Rising and A Quantum Murder, the final book in the Greg Mandel trilogy, The Nano Flower by Peter F. Hamilton is a gripping and heart-stopping sci-fi detective story. Julia Evans, billionairess owner of Event Horizon, has for fifteen years been the power behind England's economic renaissance - but now she's in trouble. With her husband missing, and rival companies suddenly claiming to have acquired a technology impossibly superior to anything on Earth, she has no time to take notice of a single flower delivered anonymously. But this flower possesses genes millions of years in advance of any terrestrial DNA. Is it a cryptic alien message, or a poignant farewell token from her husband? One man might discover its origin - but Greg Mandel will not be alone in his desperate search. And, as they both now discover, simply being first in the race isn't nearly good enough when the Nano Flower begins to bloom . . .